Easy to set up, and easy for all age groups. These frame games are a great addition to your event. Everyone loves the combination of skill and ease. Frame games allow individuals to really focus on having fun. Compete with your friends by getting the most points. Ahoy matey! Get the cannonball into the hole and ya won't have to walk the plank! 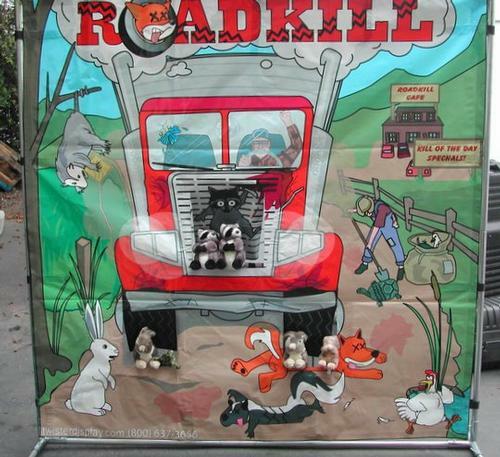 Try To throw the Animals Into the hole on the truck! 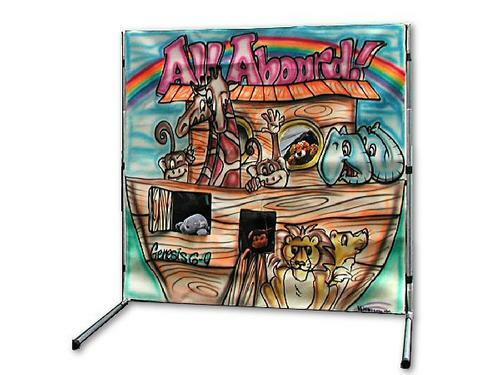 Each player tries to throw one of the animals into the Ark and safety. Each player tries to get a beanbag through the target on the head of goliath. 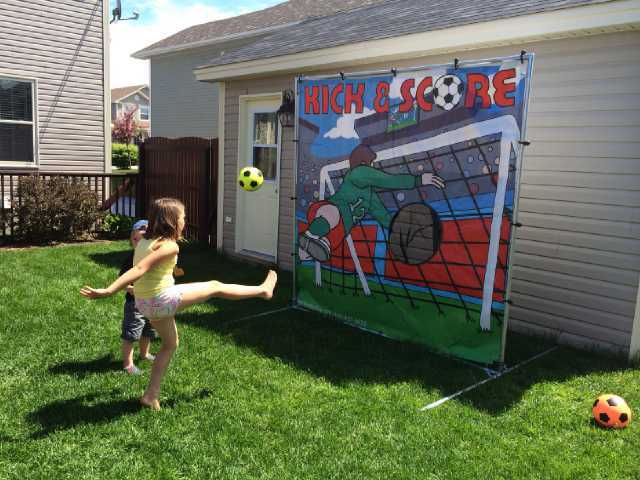 Each soccer player tries to kick the ball pass the digitally printed goalkeeper’s grasp into the 6’ x 6’ goal. It is not as easy as it looks!